Brought to you by IXL. After what seems like a very long winter, summer is just around the corner and we couldn’t be more excited to get outside, spend time with friends and family and start using our outdoor spaces once again! Having a source of shelter from the sun is always important and depending on where you live you may need more than others. Look into options such as a canopy that can wind down when you need it, louvers that can open and close on the roof of your entertaining space, and even the humble umbrella can not only save you from the heat while you’re enjoying your lunch, it can also be a super gorgeous and fun addition to your backyard styling. When those summery nights full of friends and drinks extend later than expected it’s great to have outdoor lighting and a heater to turn on when you start to feel the chill in the air. The IXL multi function Fresco Aurora Outdoor Heater is an outdoor entertaining appliance like no other. The app controlled Fresco Aurora combines ambient infrared heat, dimmable task lighting and mood lighting in one stylish unit. It has been designed to be suspended from flat or gabled roofs and is ideal for external dining areas, verandas and balconies that will transform your outdoors into a cosy ambient space - all year round. Add a pop of colour and some summer fun into your outdoor space by using soft furnishings and decor items. Use outdoor cushions on your furniture, string up some festoon lighting, use statement pots and plants to add personality and if you’re up for it, you could even paint your fence/verandah/pergola for a fresh new look. Having comfortable outdoor furniture is a must if you spend a lot of time outdoors in the warmer months. If you’re an ‘entertainer’ think about how you like your guests to spend their time at your house, are you a long lunch/dinner type or a lounging in the garden type? If you enjoy relaxing and reading your book, look into a modern take on the sun lounger. There are so many gorgeous options for outdoor furniture in all shapes, sizes and price brackets. Has your garden maintenance dropped a little over the winter months and your normally lush and green garden is looking a little sad and worse for wear? Now the weather has turned it’s time to get out there and start bringing it back to life! Start by weeding, pruning, mulching and fertilising your existing plants and they will happily spring back to life. Next, head down to your local nursery and pick up a few extra plants to fill in the gaps and make it feel lush. And the next step for the ultimate garden transformation is to add additional greenery in the form of pots, planters and hanging plants. 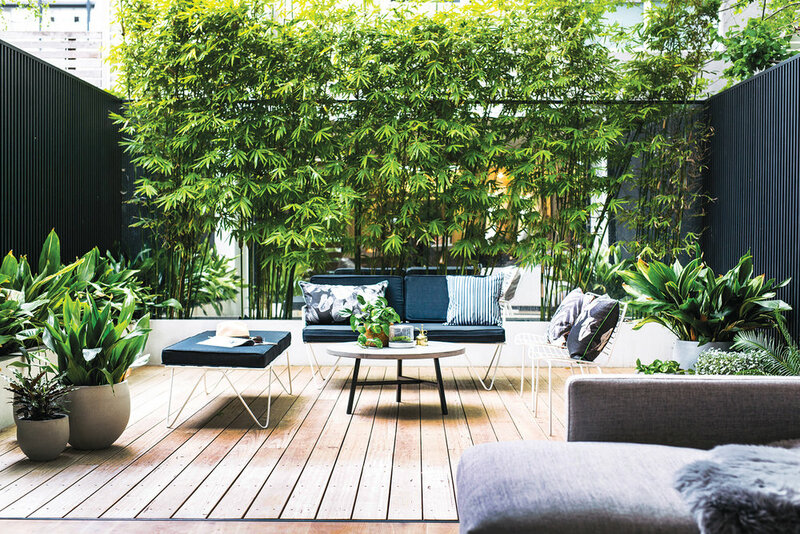 By using movable planting solutions you can easily bring the greenery up onto your deck/verandah/balcony which will positively change how your space feels and make you feel as though you live in a tropical oasis! With spring around the corner, now is the perfect time to spruce up your outdoor entertaining area. And the best place to start is from the ground up with things like pavers, turf and pebbles. Pavers are a key element for both design and practicality – creating a solid foundation and starting point for your backyard. While the ease of installation is one thing that makes paving a great choice for DIY projects, it also gives you the ability to get creative with different patterns. “For variety, style and impact for your home, the flexibility that pavers provides is hard to beat. With any one paver, you can create four to six different paving pattern styles allowing you to find the right match for your home,” explains Adbri Masonry’s Brand Ambassador Jason Hodges. Here, Jason shares his tips on paving in an array of DIY friendly patterns. When laying a paver, it’s important to leave a 3mm gap between each paver – this is for jointing sand that is swept over the surface once you’ve finished the job. This sand will help to avoid the pavers from rubbing and chipping. The most important element for those looking at DIY paving projects is the fact that some areas and paving patterns require half pavers to fill gaps and this involves cutting. “Some paving patterns will require cuts via the use of a brick saw which can be hired from Bunnings or a local hire shop. While the hiring is easy, the operation of the saw requires caution and all of the required safety gear, so take your time or better still, engage the help of a tradesman,” says Jason. Stretcher Bond is the most common paving pattern as it’s DIY friendly, requires minimal cutting and leaves little wastage. It’s a traditional pattern that replicates the classic look of brickwork and can easily hide imperfections in the pattern. This pattern is an excellent choice when paving feature spaces such as entertaining areas and patios where the finished look is important. Stackbond is a great paving pattern choice for large format pavers and can make smaller layouts appear bigger – a great design hack. The pattern is simple to install by carefully laying each paver down by one corner, once laid you will see that all four corners of the pavers will meet. Keep in mind that lines do have to be straight, as this pattern will show up any imperfections. The Herringbone pattern is a savvy design choice that is making a stylish comeback. Using a smaller format sized paver, interlock the pavers on a 90-degree or 45-degree angle. It’s an eyecatching pattern that will make a great first impression. Herringbone - Designed by Paul Gazerwitz of del Buono Gazerwitz. The Basket Weave pattern is a design that adds character, dimension and complements existing brick surfaces. To achieve a Basket Weave pattern, simply lay two pavers the same way each time, swapping in direction every “set” of two pavers and repeat. When choosing a paving colour, be sure to take a close look at the bricks in your home, as they will be flecked with a few different colours. You need a rectangular paver to achieve this. This is a new trend for both residential and commercial applications that incorporates mixed pavers of different sizes and colours for a modern paved look. It’s a great option for families as the colour variation can easily hide any stains as opposed to one solid colour. 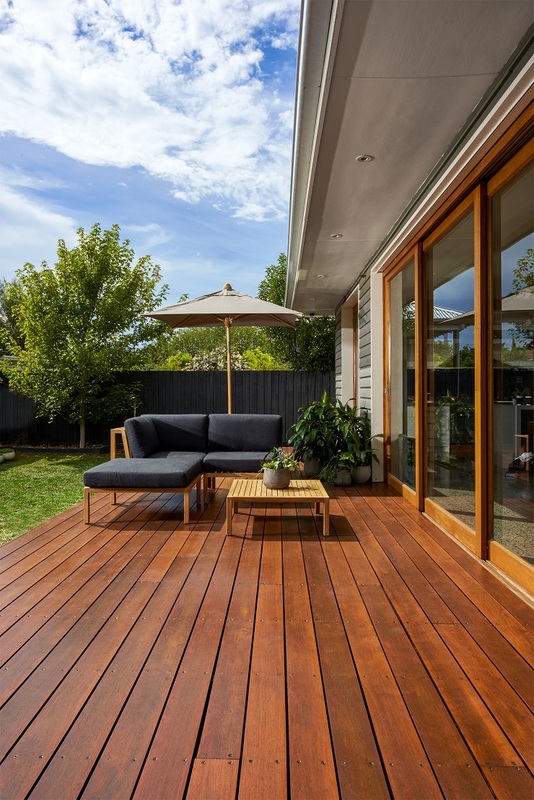 3 steps to coat your deck - long weekend DIY! 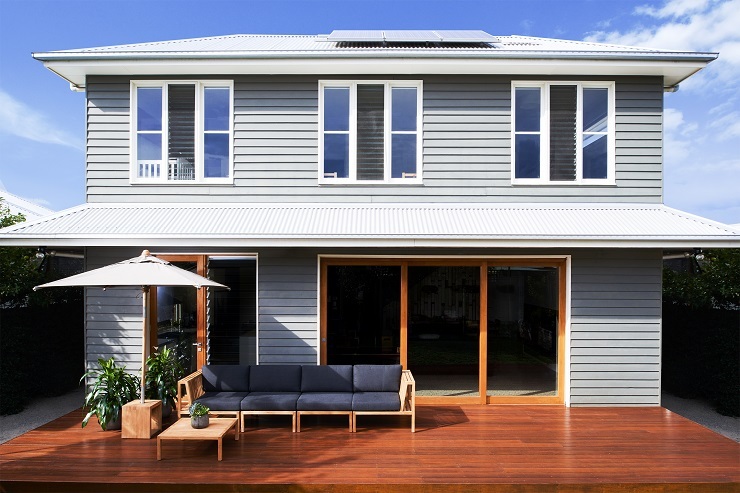 The Easter Long Weekend is here, therefore it's the prime-time for home improvements and outdoor entertaining. So why not tackle those odd jobs and DIY tasks around the home that you have been putting off! Just in time for the 4 day weekend Cabot’s have released a decking product called the 'Finish in 1 Day system' - turning what is usually a six-week gruelling and time consuming process into a one-day job, yes ONE DAY! This fantastic new product means long-term updates are now much faster, giving you more time for outdoor lounging and entertaining on your fresh deck! There is a 'Step by Step guide' below as well as a super helpful 'how to' video! Take your Cabot’s New Timber Prep and apply it evenly to the boards with your Cabot’s Deck Prep Scrubbing Brush. New Timber Prep imitates the exact effects of weathering, by drawing out the timber’s tannins and oils. After 15 minutes, rinse away the residue with a hose, leaving the surface ready for coating. Immediately clean the timber with Cabot’s Deck Clean. Cabot’s Deck Clean should be mixed with water (1:4 parts) and applied to the timber’s surface using a bristle brush, like Cabot’s Deck Prep Scrubbing Brush. After 20 minutes, it should be rinsed off with a high-pressure hose. Once the deck is dry, it is ready for coating. Stir the Cabot’s Aquadeck to ensure that the colour is well mixed and even.Start by carefully cutting in around the edges of the deck with a paintbrush. Apply oil to three or four boards at a time using the Cabot’s Deck Coat Applicator. Always work along the whole length of a board to a natural break to prevent patchy results. Allow 1 hour to dry for the first coat and then reapply. Thinking of an outdoor shower? My top 12 designs for you! 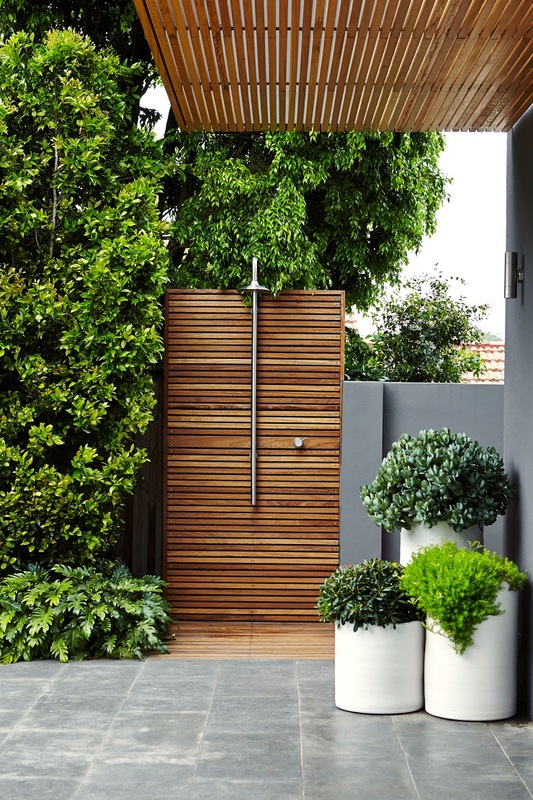 12 outdoor showers to get you excited! We love outdoor showers... we love the coastal feel, the holiday vibes they give, the novelty of being able to shower outdoors if you feel like it and just the overall idea of having one! The best thing is you don't need a lot of space, if you're lucky it won't involve too much plumbing and as long as you do your research and put it in a place that will drain adequately, you're good to go (I would advise getting professional advice on where to put it, better to be safe than sorry)!